When your Grange decides to hold an event, how does the work actually get done? The event doesn’t plan or promote itself, so that means that somewhere along the way, members (or in some cases a single member) takes the bull by the horns and makes sure that the work is done and that the event goes off without a hitch. Take a look at the mission and vision of your Grange. What successes and failures has your Grange experienced historically? Maybe you’ve had a very successful community concert, but not as successful Neighbor’s Night. Evaluate what has worked in the past and make a list of those successes. Examine the challenges and note what improvements can be made for the future. Was planning done in advance, or was it rushed? Were the promotions prepared from the start, or submitted at the last minute? Never assume. 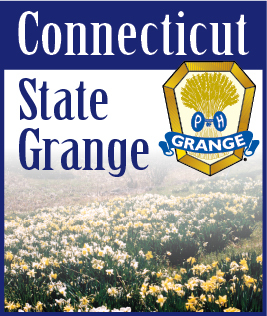 Remember that members do have jobs, family responsibilities and a life outside of the Grange, and may not be able to devote all of their time to working on Grange events. Be prepared, and be flexible. Delegate specific tasks, so that one or two people, or a small group, are not responsible for all the pieces. Plus, it’s never wrong to ask for assistance when the tasks at hand seem overwhelming. Planning ahead saves time and money in the long run. Member burn-out is no longer an issue because you’re working smarter when more people are involved. Many hands make lighter work. Remember to communicate your level of success to everyone involved and thank them for their help.